I may be just a grumpy old man with a sore toe, but there are some things that I can’t let pass without comment. The government has announced that it will go ahead with the widely ill-advised badger cull. The details of how the government proposes to go about this cull are even worse than we imagined. They are relying on ‘ifs’ and making assumptions not based on evidence. At least 70% of the badger population in many areas will be killed, many of them healthy. This decision comes in spite of scientific evidence which shows that culling is a misjudged effort to control bovine TB, will be of little help in reducing the disease long term and could actually make things worse! The frustrating thing is that the science may only be proved wrong when the badgers have been slaughtered and the bovine TB (which is far more likely to be a product of poor farming practices) is still there. The fact is, a badger cull didn’t work in Ireland. It won’t work here. Not only is scientific evidence against the government, the public are too. A poll for the BBC (http://www.bbc.co.uk/news/science-environment-13684482) found unanimous opposition to the badger cull in all areas, rural as well as urban, including those areas worst affected by bovine TB. The arrogance of this government saddens me, but doesn’t surprise me any more. I think I’ll write to my MP again, except she – Nadine Dorries – is very rude and ignored me last time. Most alarming is the government’s attempt to try to cull badgers on the cheap. They are planning to give farmers licences to shoot badgers on their land. The thought of essentially untrained amateurs going out and taking pot-shots at badgers is horrifying. 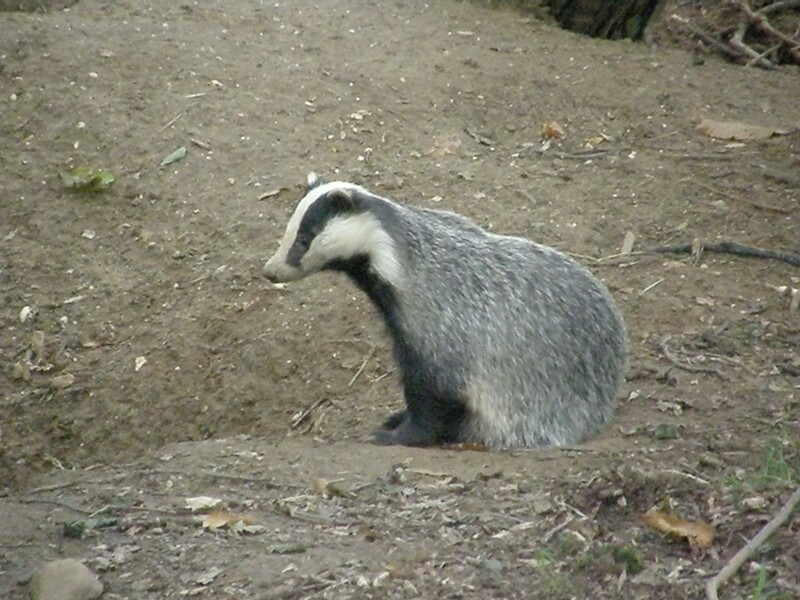 Shooting badgers is difficult as badgers have a very thick skull, thick skin and a very thick layer of subcutaneous fat and because of the short, squat body and the way their legs work, free-shooting means a high risk of wounding the badgers instead of killing them, causing a slow, painful death. The RSPCA believes that badgers are being made the scapegoats for a rise in bovine TB in cattle. They are asking supporters to express their outrage at the decision in their tagging campaign via their main facebook page which will act as a petition of sorts. It is vital that we all send a strong message to the government that bad science must not prevail. You can find more information at http://www.facebook.com/RSPCA. Most of the time I’m generally upbeat about the state of wildlife in the UK. Look at the success stories, like the buzzards, the red kites and the polecats, right here in Bedfordshire. Look at the otters, which are now present in every English county. I never imagined that I’d be living 10 miles away from otters, not unless I moved to the wilds of Scotland or Wales. There are lots of encouraging signs out there that we’re finally starting to respect our natural world. As someone who works in wildlife rescue, every time I read one of today’s articles I find myself close to tears. I want to jump up and down and shout that this is based on flimsy evidence and there is plenty of evidence to say that this will make the TB worse – what then? Will they kill the few badgers that are left? Man creates almost all the problems on this earth and we just don’t learn. This is just incredibly sad and I hope that those of us who feel strongly about this will make our voices heard. Just thinking that this is sad is not enough – write letters, sign petitions, demonstrate. We have killed badgers with our incessant desire for expanding towns and new houses. Let’s try and protect them when they need us. This is an appalling decision and nothing short of a political move to appease farmers who nevertheless get compensation whatever the problem. This needless slaughter will go ahead whatever, but we must show our disapproval if only, when the scheme inevitably fails, we can say we told you so. The only positive aspect is that badgers are so resilient that they will recover quickly. It is sad. As you say, what happens if they cull the badgers and the TB gets worse? Keep culling? I hope that public opinion will have some effect, given the government’s history of u-turns. Like you say, the more we can do the better.